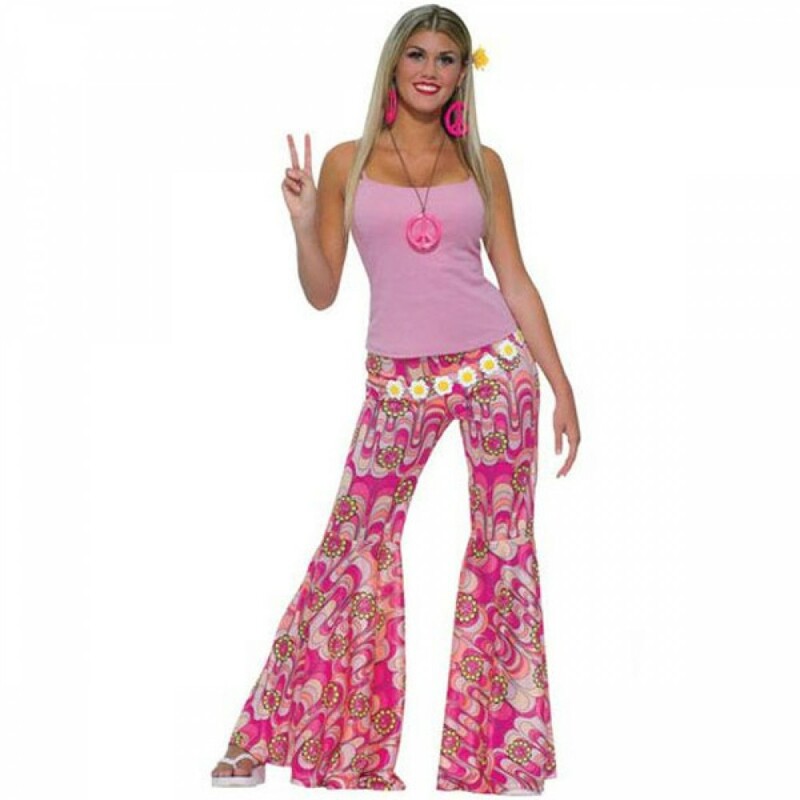 A pair of Pink Bell Bottom Flares with fun flower power design. 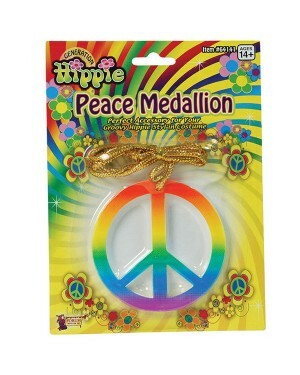 A fun accessory to create a 1960s Hippy fancy dress costume. 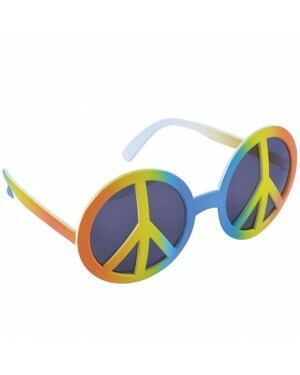 Fun Bell Bottom flares, with Flower and Peace design, perfect to instantly create a fabulous Hippie costume. The waist has an elasticated band measuring from 21-28” (UK 6-12). They have a huge flare bottom, measuring with a 46” circumference for ultimate flare! The trousers measure 32-33” from the inside leg to bottom seam. One Size. Size Guidelines: to fit UK 6-12. Further details as included in the item description. Please note that all other pictured accessories are for illustration purposes only.